Secures to wheelchairs, geri-chairs and lounge chairs. 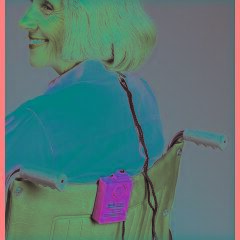 Adjustable-length cord clips to resident's clothing. Comes with hook-and-loop fastener(s) strap for attachment to most chairs.